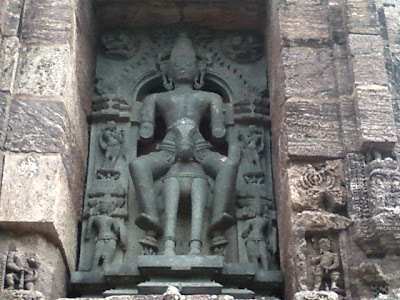 The sun Temple of Konark is not only significant for its art and sculpture, but also for its heritage. 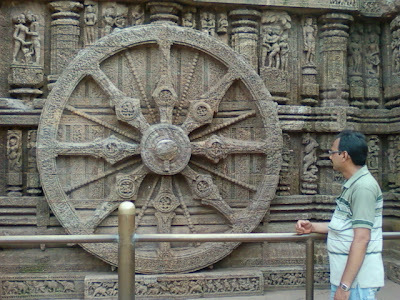 Me and my friend planned a tour Konark, the abode of the famous Sun Temple. 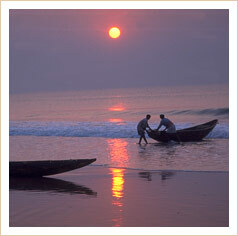 We stared our journey at 5.30 in the early morning from Bhunaneswar, the Capital city of the state of Odisha. We know our destination and the rout there to. 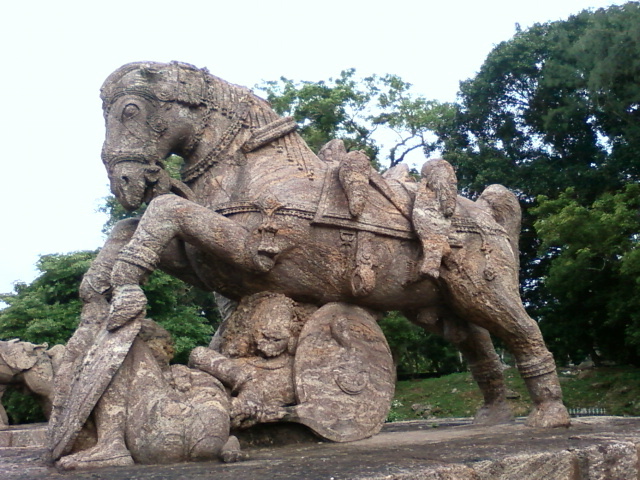 Konark is situated 64 KM away from Bhubaneswar. Our journey was from Bhubaneswar to Konark enroute Pipili followed by Nimapada. It is about a couple of hours journey by motor bike. I feel the journey to Konark will remain incomplete, if I do not say something about Pipili. Pipili is renowned for its handicrafts, significantly the "Chanduas". Chanduas are made of colored cloth with embroidery designs of flowers, leaves, elephants etc., with multiple utility as well decorative, garden umbrella or other. These handicrafts have very good demand in the country and abroad, and the demand is consistently on the increase. After the two-hours journey from Bhubaneswar via Pipili and Nimapada we arrived at our destination, the Sun Temple, also known as the "Black Pagoda". Soon I found myself standing in front of a dome, carved on rock and designed like a chariot. The premises are full of rocks and stones and stones only, and with sculptures of artistic talent, elephants, lions, horses, dances and singers. It was really an amazing sight with art and sculptures all around. The Sun Temple is around 230ft. high in the shape of a chariot with 24 giant wheels each of 10 feet diameter. These 12 pairs of wheels happen to be the main attraction of temple, exquisitely designed and decorated. Amazing engineering skills of the ancient era are visible here. The entire temple is made out of naturally oxidized sand stone also called "mankada stones". The sun temple was built by Narasingha Deva-I, the mighty king of "Ganga" dynasty in 1278 CE. The ruins of this great masterpiece were excavated in the late19th century. The main entrance ( Jagamohan ) is in tact, while the tower over the main temple is missing. 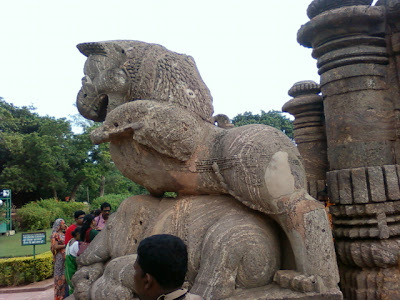 Two gigantic stone carved lions are seen at the main entrance, as if guarding the temple, with crushing elephants sculptures seen nearby. In front of the Sun Temple, there is ( Natya Mandap ) the dance hall. This is full of stone sculptures and carvings of men, women, animal, dancers, warriors, horses, elephants, in various pattens despicting all about our mythological and geometrical creations. Each of the piece is an art of excellence and carnival speaking of life. We forgot time and everything else and viewing the scenery dumb-founded. It was only with the chirping of birds returning to their nests that we hastened up for a retreat. In the melee, we did a blunder, i.e. forgetting about a visit to the famous " Chandrabhaga" beach adjancent to the Sun Temple. Thus we have to make another trip to the place in the not too far future. I hadn't heard of this temple before, but it looks fantastic. Shaped like a chariot - that's very interesting. You didn't mention the country though. Is this in India? Aj, Sun Temple Situate at: Konark,State/Province: Orissa( Now ODISHA ), Eastern part Of INDIA. 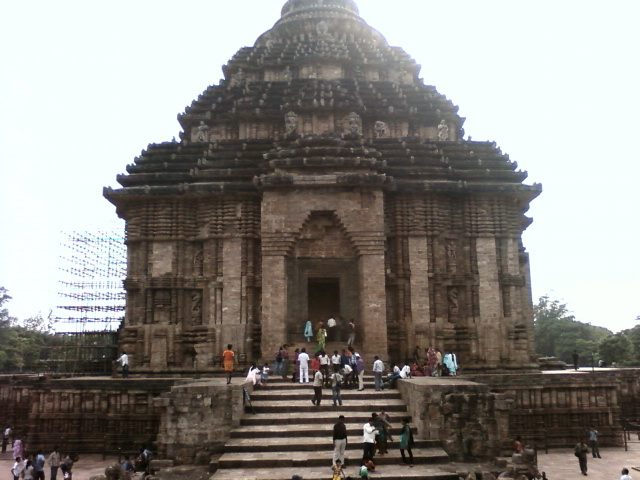 Sun Temple of Konark also known as black pagoda. This Temple is one of the most renowned temples in India built around 13'th century and one of the world Heritage site declared by UNESCO. Yes, Lisa!! This Sun Temple is very Interesting Monuments in India. Main Temple is already demolished now only main entrance of the temple is stand with very miserable condition. Our ancestors built such a temple there is no jointing with other material for pasting, only you found stone joints with each other. Lene,India is a very beautiful country, so many languages, so many culture,many religions. You may feel, that every 40 kilometer distance culture of one place to other is different and Indian culture fertile with unity of many.India is Art of colours. This is also a nice effort by you. Love India. Networked Blog me back! Beautiful spiritual places in India have a wonderful effect on the mind. Thanks for your comment here. Very soon I will add more Photo of this wonder Temple. I got to your blog while looking up information on the Sun Temple. Thanks for sharing ... quite detailed. We were there about 8 months back. Here are the pictures we clicked while we were there. Hope you like 'em. Thanks for your comment here. I seen your blog, great photography. Manoj, this was so interesting to read! I appreciated all the detail you offered, along with clear descriptions of what we were viewing in each photograph. The history of this place is impressive and I enjoyed being able to learn a little bit about it through your experiences and trip there. I may never get a chance to visit India, but I've been fortunate to take a virtual trip there through your eyes. Lovely! Thanks your valuable opinion here.This is a small effort from me to share with you, what I have seen at Konark( Konark is name of a place & Sun temple situate at Konark). Look at those statues and establishment. It's very cultural that we can see its intricate designs. Very good spot to visit. 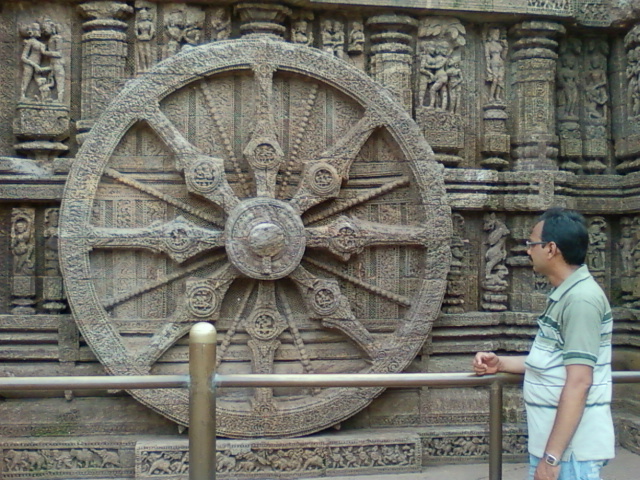 I have been fan of Konark's Temple. the Sculptures and everything represent a unique beauty and thus it seems so magnificent! I also want to visit Sun Temple hopefully by next year. Thanks for uploading the pictures of your trip their and for your exciting travel story. we can get all kind of transport facility from these hotels in Hyderabad or to this hotels. These hotels are very much suitable to foreign delegates to stay or conduct their conference meeting in these hotels.These hotels are located near to Hyderabad torist places. Hotels in some places like ameerpet,Hi-Tech city etc are very demanded due to MNC companies located at that area. 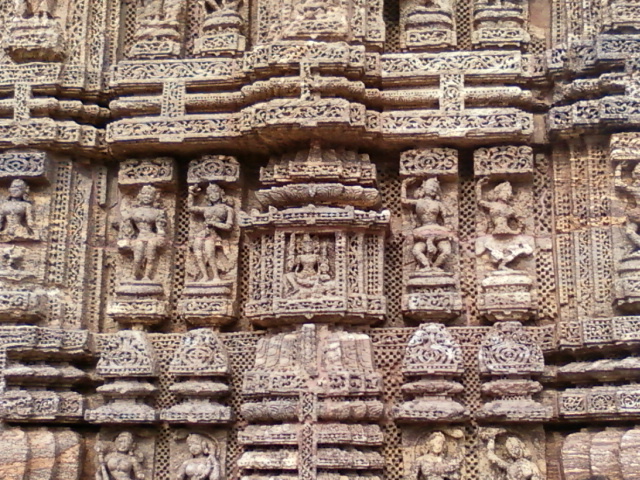 Great Photography and beautiful and relevant info about Konark Temple . Excellent blog on Sun Temple Konark with very useful and narrative information alongwith beautiful pictures. Sir your blog is very useful for those who are researching on Indian Sculptures. Sir really a great effort from your side and thank you very much for this great blog. Sir these are 2 messages which relating to Sun Temple Konark postcards of my collection which i am sharing in my Heritage of India blog. Sir please explore my Heritage of India blog and read some of the paintings related messages which i shared in my Heritage of India blog. Sir further i am sharing my knowledge on Indian Heritage and Culture with school and college students by giving seminars to them and so far i gave 2 seminars on Indian Heritage and Culure. Sir these are some other messages which many people watched and gave their comments to me. Sir recently on 14th july i am sharing one message in my heritage of india blog with the title "Vintage telegrams of india(farewell to the 163 year old telegraph system in india). Sir in this message i am using the images of telegrams of my collection. Sir this is the link for this message. Further BBC delhi office staff requested me using some of my telegrams images in their hindi website and i gave permission to them for using them. sir this is the BBC link where they are using my telegrams images in their hindi website message on telegraph system in india. Sir please look into my above messages and share your valuable comments on my Heritage of India blog. Sir did you have any Indian vintage postcards, prints,photographs etc. with you for my collection purpose and for sharing them in my Heritage of India blog. Good post. The present day temple was built in the 13th-century by King Narasimhadeva I of the Eastern Ganga dynasty to comemorate hs victory over Tughral Tughal Khan. 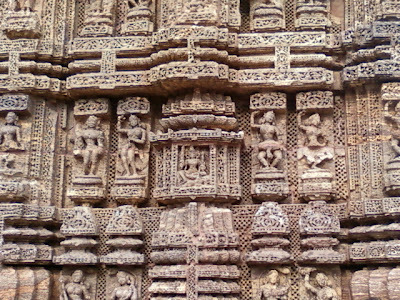 Explore more about Konark Sun Temple.